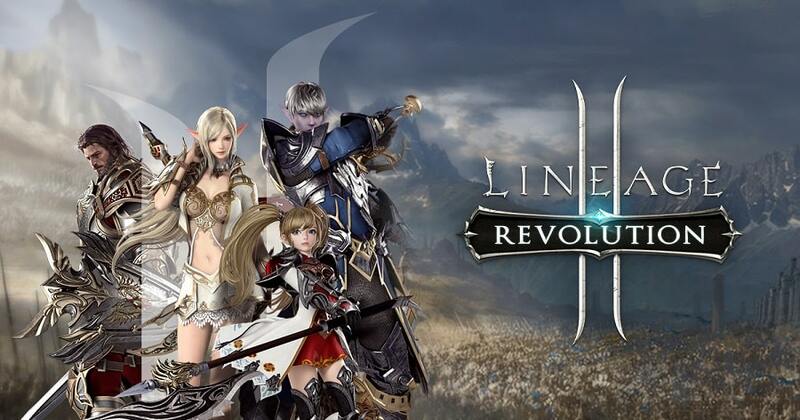 Lineage 2 Revolution is one of the most popular role-playing MMORPG games from Netmarble Games Corp. The free-to-play game is compatible with Android and iOS devices, but can now be played on PC. In this page, we provide you detailed, step-by-step guide on how to download & install Lineage 2 Revolution for PC on Windows 7/8/8.1/10/XP & MAC. Lineage 2: Revolution can be described as “Better than Ever.” The developers have optimized and brought to life the high-quality graphics, as well as the favorite landmarks in breathtaking detail, thanks to the “Unreal 4 Engine.” You’ll fall in love with the game’s beautiful images, cut scenes & stunning effects. You are expected to select your hero from the characterized Humans, who possess not only well-balanced stats, but can also evolve quickly to any level. Examples include the master and physically strong “Elf,” and “Dark Elf” who has a Ph.D. in black magic. These characters have a special and distinctive attack, defense, critical attack, MP, HP, evolution stat and three different skill-categories to choose from; Warrior, Rogue & Mystic. There’s also an option for makeup cosmetics, choose hairstyles and preview motion. 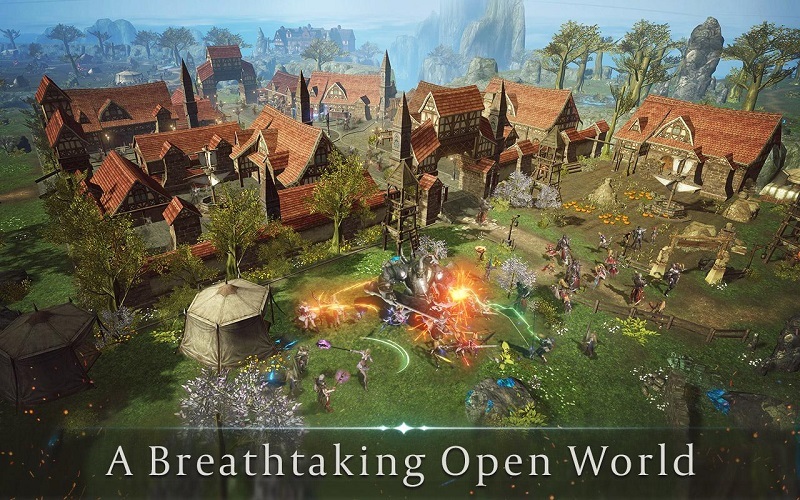 Lineage 2 Revolution features the Largest Persistent Open World on Mobile Play, in a synchronous real time. You’ll be able to experience the realm of the game from anywhere, and at any time, since the game is played online, with other players from across the globe. Play the most massive PvP ever created for mobile devices, with over 1,000 players taking part in the fight together. Lineage 2 Revolution lets you take up arms and face the best fighters from across the globe in tough and challenging player vs. player Clan battles. Join the war and use your special skills to master epic Castle Raids and reap benefits together. Once you’ve selected & customized your character, you are expected to start fighting the dark forces that have invaded the land. The items displayed on the left of your screen are automated. You just need to touch on a mission and accept. The top card on the right of your screen shows the environment around your character with the possible danger as well as the way to go. A virtual joystick located at the bottom left of the screen lets you move the character around, while the main attack, skills and special buttons can be accessed at the bottom right of the screen. You are also free to select “Automatic Equipment” to automatically equip your hero with all the latest armor, weapons & equipment you’ve purchased. • Read & type access to external storage for downloading resources. 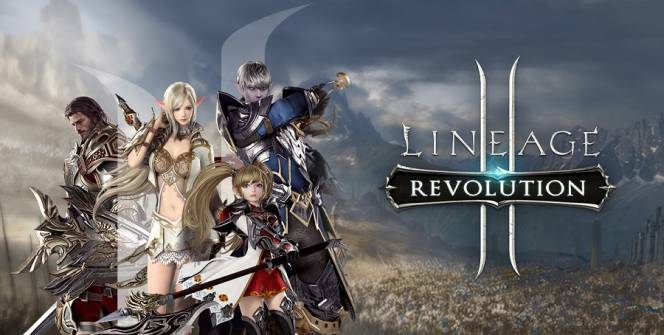 Lineage2 Revolution for PC takes the mobile MMO genre to a whole new level. The game comes with outstanding features; Open Field Battles of the Largest Scale, Graphics Quality, Real-Time Party Play, Various Content & Growth Systems, etc, which are amazing on bigger screens. Install Lineage 2 Revolution for PC on your desktop or laptop today, and enjoy the game like never before. Sometimes when playing Lineage 2: Revolution, bluestacks ask you fee to pay but gives you option to download some apps. Every time it asks you just select “Install apps” and continue using it free. I hope you enjoyed this article, please rate and share. If you have problems running Lineage 2: Revolution on your desktop or any other issues, leave a comment below.